Indicators stopped working after rain?? K100-forum.com » Technical, repair and troubleshooting » Electrical » Indicators stopped working after rain?? Went to work on my 16v this afternoon and indicators were working fine. Bike sat outside for 5 hours in the rain and on the way home I noticed the indicators weren't working. When I pressed either side button the clock slowly diminished too (the numbers not the backlight) and returned again (gradually) when I cancelled the indicators. Never happened before. Obviously damp related, but where should I start looking? 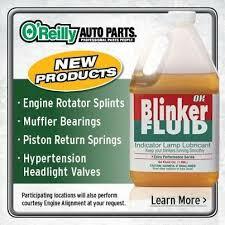 You could be out of blinker fluid. The indications for the future are good. That happened to me after getting caught in a massive rain storm. Luckily the weather got hot afterwards. The culprit for me was the indicator switchblock, water got in. It dried out and everything worked after a day. I put some electric tape over the top join of the block which seemed to work in future rain. Maybe didn t look the best but neither do I. In fairness a few of us did and you didn't complain. Water in the witch would be the main suspect, when you get some dry weather dry it out and clean it up and DeOxit. I read of many folk on here recommending DeOxit, but which type - there seems to be many different versions? @RT wrote: That happened to me after getting caught in a massive rain storm. Luckily the weather got hot afterwards. Did your clock numbers disappear too (and then gradually re-emerge when you hit the cancel button)? Yes I lost everything except engine power, although I think my headlight stayed on. I got off my bike in a small town were I was booked in for the night, totally saturated. The temp was 35 deg C and sunny. My books squelched all the way up to the bar and the locals were staring at my wet footprints, wondering where I had been. Some of us rode through a mini tornado up Glen Innes way a couple of years ago with no ill effects except water in the final drive. By then I had my trusty electric tape over the join on the switch. I had replaced the switch with a new one earlier and it just didn t seem to mate up properly at the join. I am using DeOxit D5. Three years on three bikes and it feels like I still haven't used half the can. Best $13 I've spent on maintenance. I have fixed at least 5-6 electrical issues with it, most recently just this past Wednesday when it got a "new" gas gauge with a funky connector working. By not removing the plating on the contacts, DeOxit doesn't encourage further corrosion the way that polishing with an abrasive does. Following up with a thin film of dielectric grease helps prevent corrosion and water related issues. Well, it's been over two weeks since my indicators gave up the ghost. I've had the R/H indicator block apart & left it open for a few days (after some time under a hairdryer - first time I've touched one in 25 years), but it still ain't playing. And the clock digits still fade out when I hit the indicator button. I wonder why the clock fades? What's the connection? The clock is connected to power all the time so unless you have a battery that is really had it then I would be looking for an earth/ground problem. Have you cleaned all the earth connectors under the tank and at the gearbox. I have found as many others also have that when things just don't make sense that it is more often than not a bad earth. Yeah the battery is in top condition so I'll get the tank off & check the earth's. Do you have brake fluid seeping out of the reservoir. You'd notice slight oily residue around the joints in the switch block/brake assembly and maybe some paint peeling off. I've seen this interfere with blinkers before. Its slightly conductive and can interfere with continuity of power and earthing to the blinkers. Just replace the O-ring at the base of the reservoir. Wash everything with water and spray with electrical contact cleaner or brake cleaner. Yes! There is the smallest amount of leakage from the reservoir. Hadn't even noticed it, but it's there. I'll get on to it in the morning.